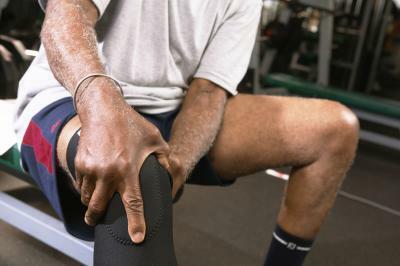 Chondromalacia Patellae, also known as ‘runner’s knee’ is the most common cause of chronic knee pain. It often affects the young athletics, but may also happen to-older people with arthritis and females as well, as they have less muscle mass than males. What do we mean by Chondromalacia Patellae? Chondromalacia Patellae is a condition, where the cartilage under your patella or knee cap softens and wears away or deteriorates. Poor alignment or overuse of knee cap or patella wears down the cartilage and as a result, knee cap begins to rub against the thigh bone which further leads to grinding sensations and chronic pain in the front of the knee. What are factors leading to Chondromalacia Patellae? What are the signs and symptoms associated with Chondromalacia Patellae? What are the treatment options available to treat Chondromalacia Patellae? Contact Alliance Physical Therapy for the efficient and state-of-art treatment and quick relieve from any of your musculoskeletal pains. Our compassionate physical therapists make use of minimum invasive diagnostic and treatment techniques to save you from further pain and suffering and assist you to lead an active and healthy life. Does your hand hurt? 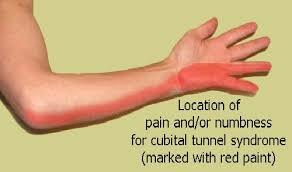 Have you noticed symptoms of pain, discomfort, fatigue and weakness in one or both of your hands? Are your fingers locking and unable to extend, without assistance from the other hand? Have you experienced numbness and tingling that has gotten progressively worse? Does your hand feel clumsy and are you noticing that you drop things from your hand more frequently or are unable to pick up things or open containers with your hands? If so, you may be suffering from one or more of the following chronic hand and upper extremity conditions such as arthritis, tendinitis, or nerve conditions such as carpal tunnel syndrome. Has your hand or upper extremity been affected by an accident or trauma leaving you with wounds, scars, burns, injured tendons or nerves, fractures, dislocations or amputations of your fingers, hand or arm? Have you undergone prolonged casting or underwent a surgical procedure? Are you now experiencing severe pain and limitations in motion and function, associated with your injuries? Whether you are suffering from a chronic hand and upper extremity condition or recently experienced an acute injury, you may be a candidate for hand therapy. If your physician has not already recommended it, you should ask him for a referral so that you can expedite your recovery process. What is hand therapy? Hand therapy is specialized therapy that focuses specifically on conditions affecting the hand and upper extremity. It can be performed by an Occupational Therapist or Physical therapist who has a high degree of specialization that requires continuing education and often advanced certification. What can hand therapy do for me? They must have a minimum of 5 years postgraduate experience with at least 4,000 hours in hand therapy and have successfully challenged the Hand Therapy Certification Commission exam in order to obtain these credentials. CHT’s are dedicated professionals who have a commitment to meet the highest standards of their profession. The hand and arm have an extremely intricate anatomy and complexity. Rehabilitation of the hand and arm requires in-depth knowledge and up-to-date techniques. Certified Hand Therapists have the highest level of competence in the rehabilitation of upper extremity injuries. Hopefully, this information helps you to make the right decision, when consulting your medical specialist.